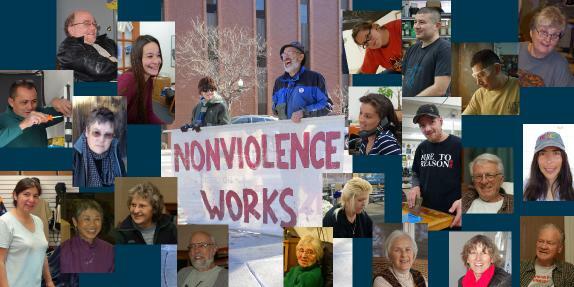 open to our message of peace and nonviolence. T-shirt messages and would even ask questions! So we began printing political and environmental T-shirts and condensed our leaflets onto T-shirt tags. Although we have begun using a professional screen printer to silk screen the designs for us, Alterni-Tees are still designed and sold by volunteers who believe in our cause. All proceeds from shirt sales are used to benefit the causes that the T-shirts promote: nonviolence education, bicycles, land trust, alternative energy, projects in Mexico and Central America, and other people in need.